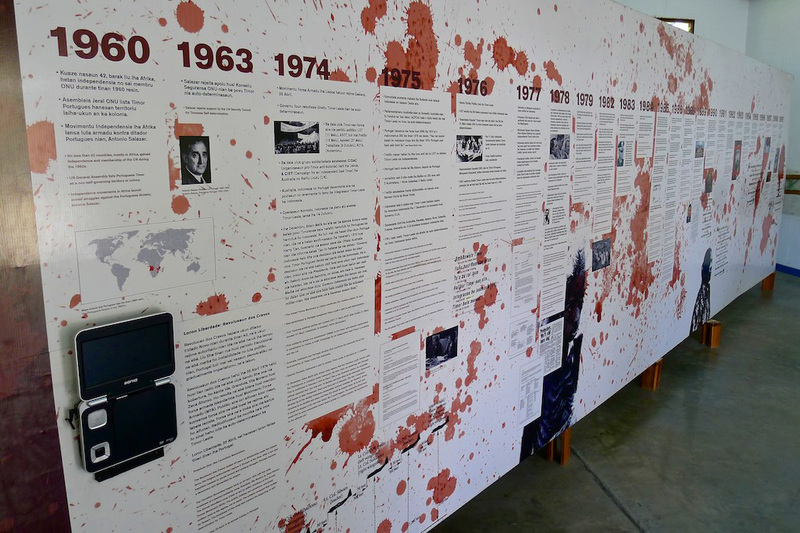 The Timor-Leste Commission for Reception, Truth and Reconciliation (CAVR – the Portuguese acronym) commissioned David to design a condensed version of the 2500 pages-long report covering CAVR’s creation, activities, victim support, community reconciliation work, truth-seeking about human rights violations between 25 April 1974 and 25 October 1999, findings and recommendations. 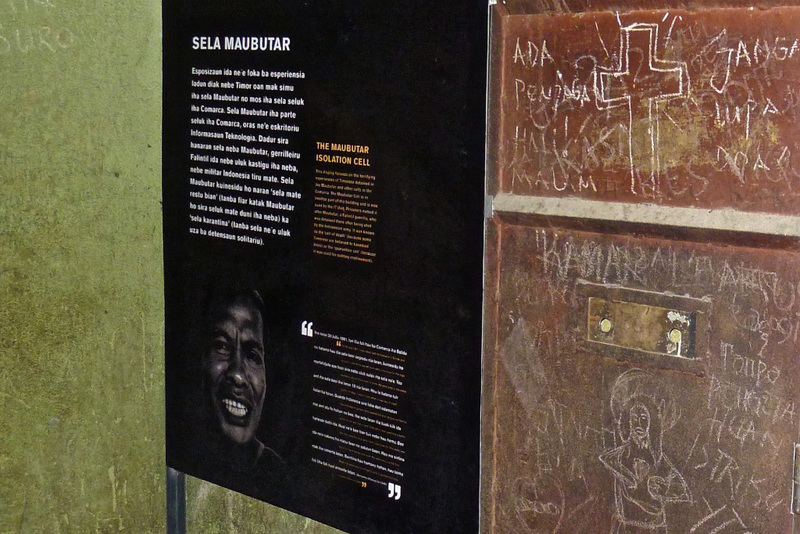 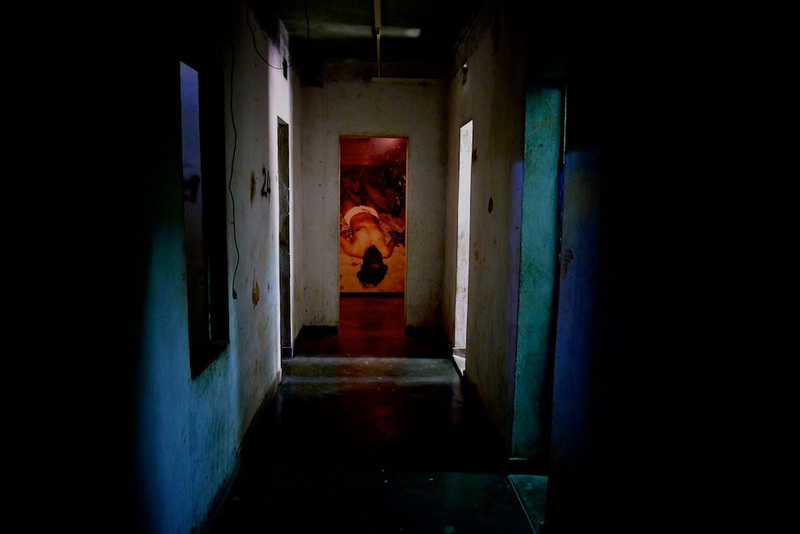 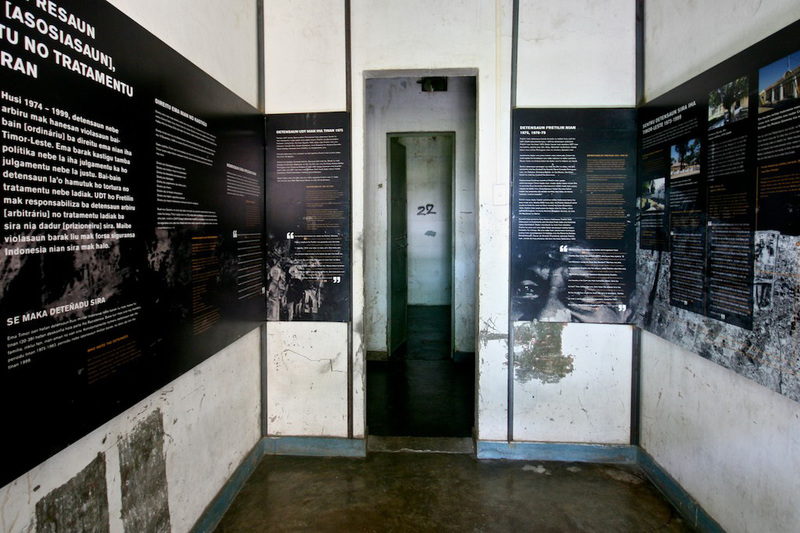 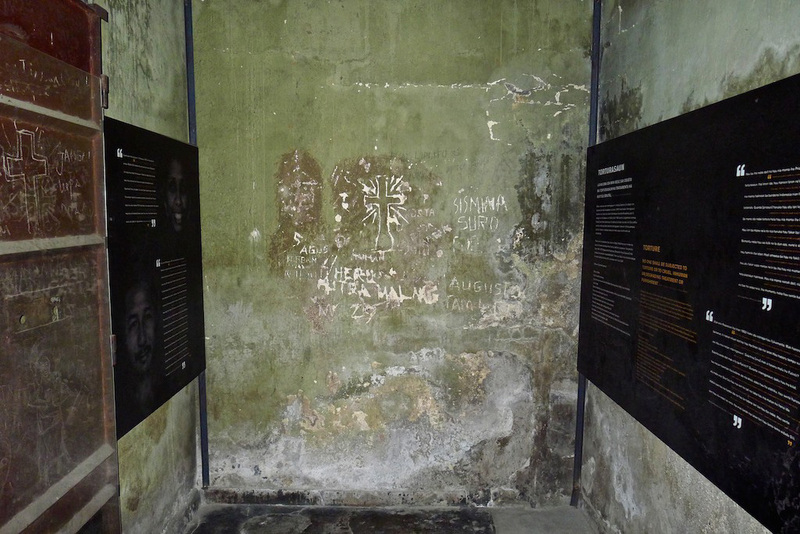 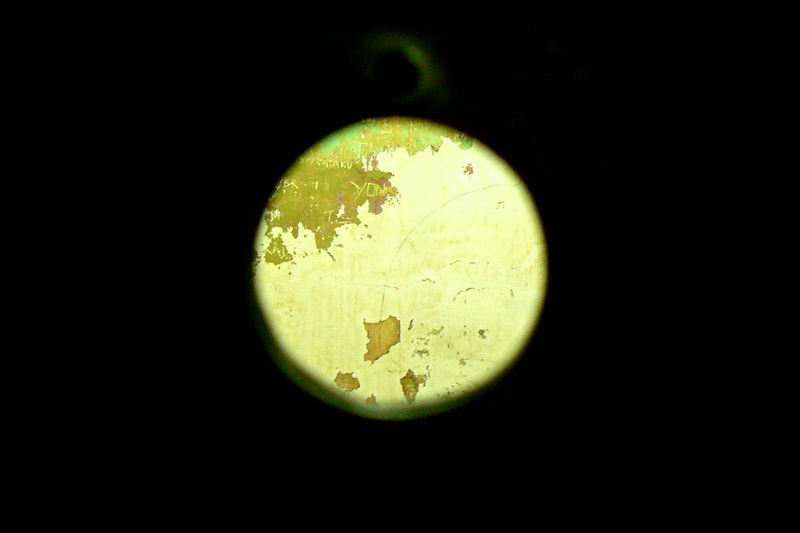 The exhibition opened the 60 meter-long bi-lingual ‘Walk through Chega!’ Exhibition in November 2008 at the former Balide prison (Comarca) in Dili. 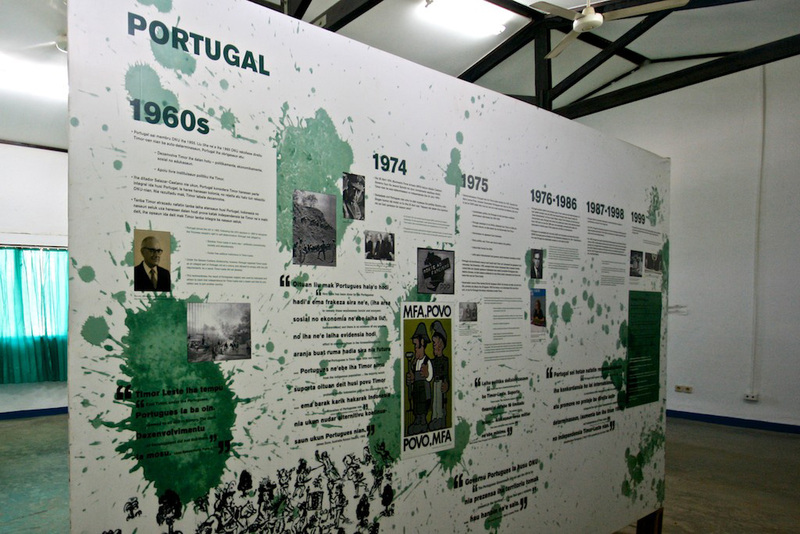 Chega means ‘stop’ or ‘enough’ in Portuguese.You can download the full Chega report from the Chega+10 set up by AJAR. 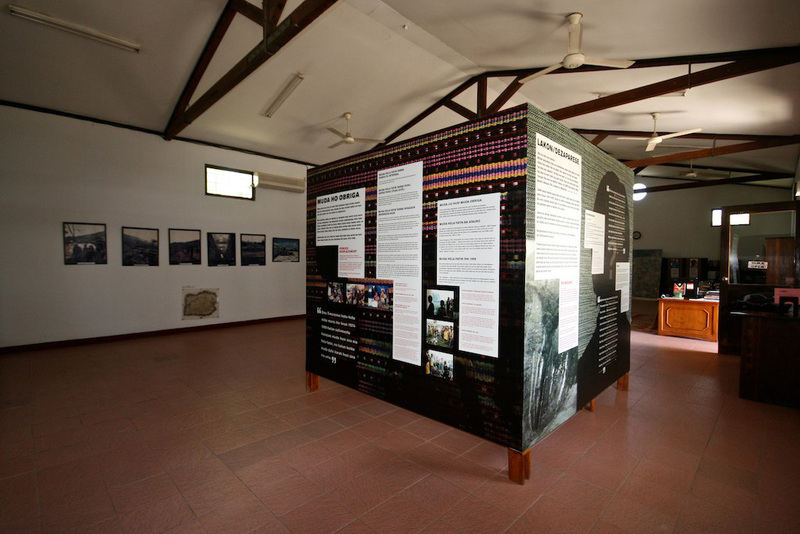 The exhibition was opened by the former Timor-Leste President and Peace Nobel laureate Dr José Ramos-Horta. 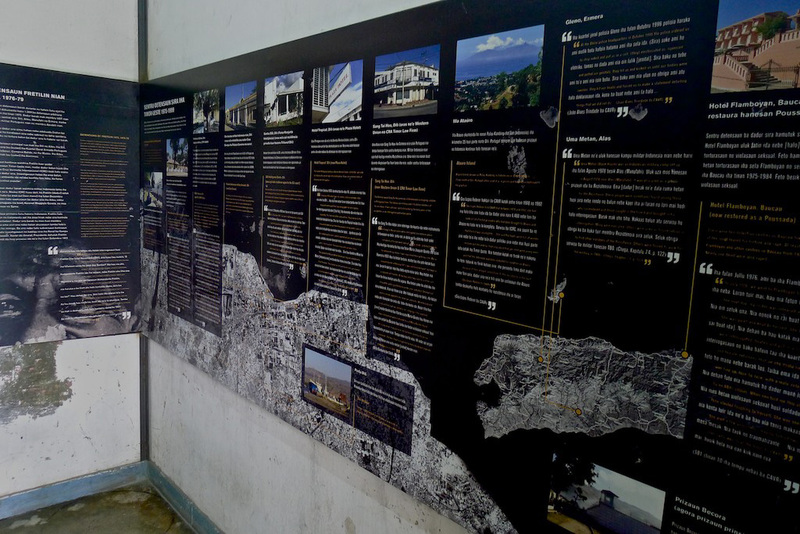 This was the first public exhibition related to the East Timorese diaspora since Timor-Leste became an independent nation in 2002. 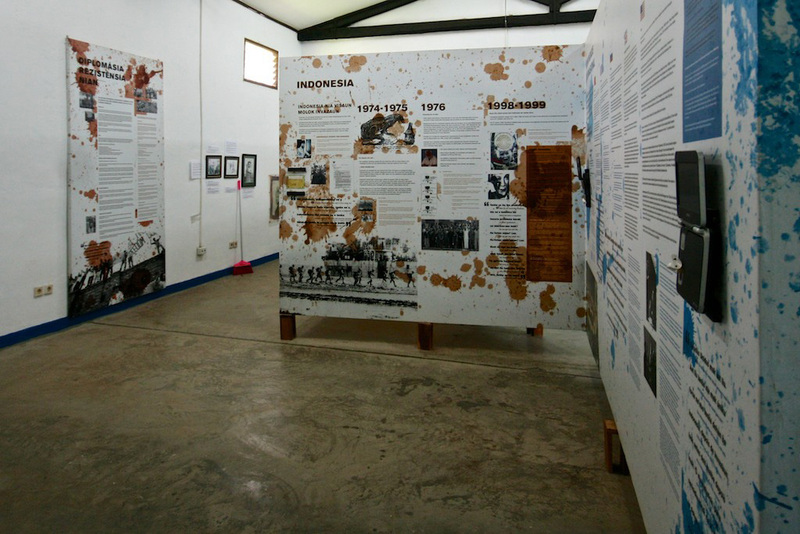 The exhibition was listed no.1 in the top 10 places to visit in Dili by Lonely Planet (July 2011). 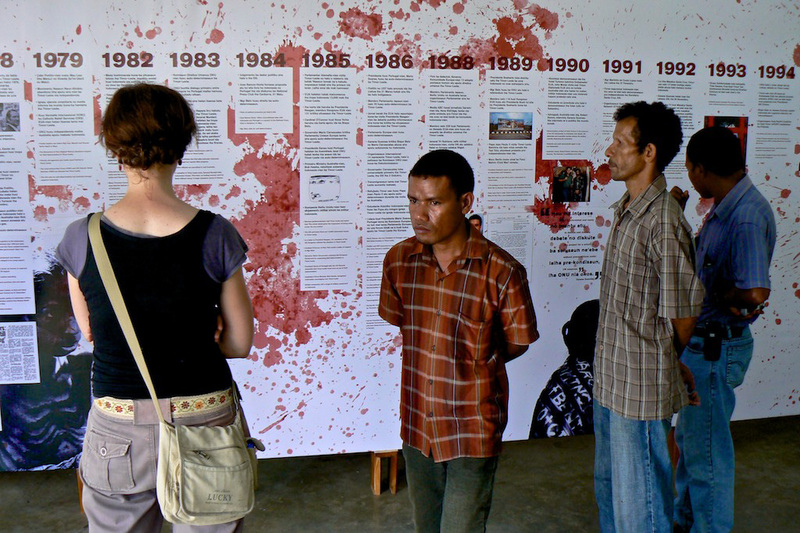 You can watch a short film of the exhibition made by UNMIT (UN Timor Mission) here.